Limealicious Shaggies by Janey Lynn's Designs. The super soft multipurpose cloth that goes with EVERY decor. One of a kind multi-purpose dishcloth that’s thick and thirsty. Holds up to 10 times its own weight and is a must for all households. It will immediately replace your regular kitchen and bathroom cloths. The Shaggie cloth is great to use on any surface and easily picks up any mess. 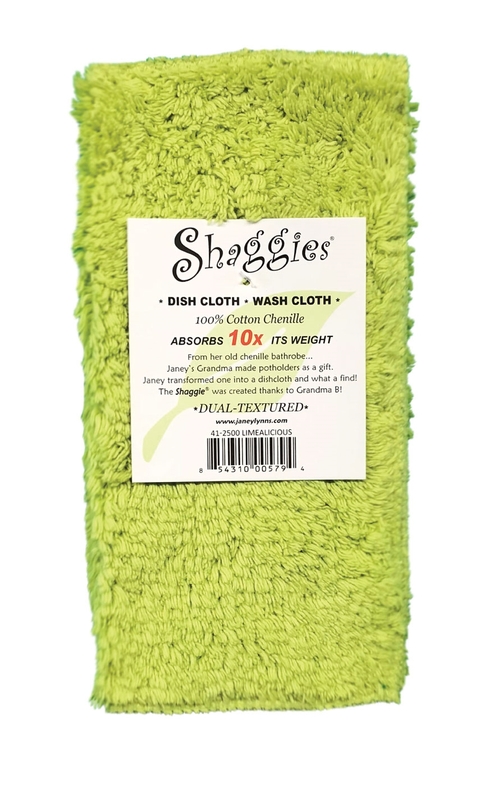 Great for kitchen, wet-dry cleaning, bath/shower, and fits on the bottom of your floor mop/duster. · Care Instructions: Items should be washed before use. Machine wash and dry.